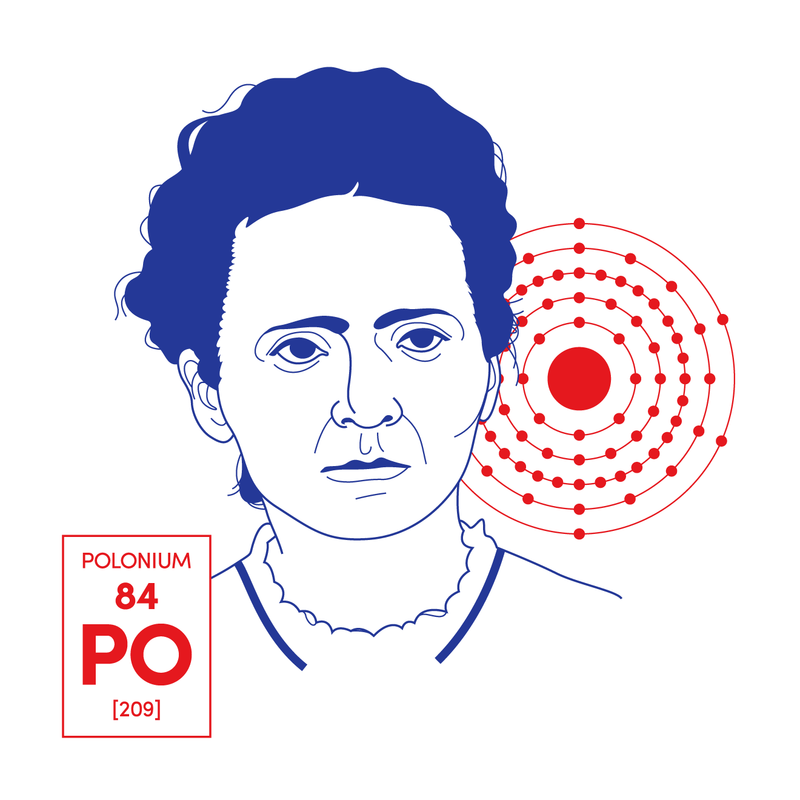 Maria Skłodowska Curie was a physicist, chemist – and all around rad woman. Oh, and did we mention she was Polish? To kick off our series of “Famous People You Didn’t Know Were Polish,” we’ve decided to commemorate Mme. Curie, as she was later known, who is arguably the most famous female scientist of all time. Plus it would be her 144th Birthday today. Sto Lat!!! Best known for her discovery of radium and polonium (which she named after her native country – in case you needed further evidence), Mme. Curie was a pioneer in the field of radioactivity. Despite facing great opposition for being a woman, and growing up in a then Russian-occupied Poland, she went on to accomplish an awe-inspiring plethora of achievements. She was the the first woman in Europe to receive a doctorate degree, the first female professor at the University of Paris, a mother, a wife, a Polish patriot, an X-Ray technician, and is still the only person with two Nobel Prizes in two different sciences, to name a few. So without further ado, here are a few insights into her life that remind us why she continues to rock our socks. She was born in Warsaw, at a time that the city belonged to the Russian Empire. Her father was a school teacher whose Pro-Polish beliefs made it difficult to for him to keep his job. When she was 11 years old, her oldest sister died of typhus and her mother of tuberculosis. At 24, Marie had saved enough money while working as a private tutor and moved to Paris to study at the Sorbonne University. Despite very poor living conditions and a lack of French, she earned degrees in both physics and mathematics. Though her goal was to get a teacher’s diploma and return to Poland, Marie stayed in France after meeting her future-husband, Pierre Curie, with whom she had two daughters, Irene and Eve. In 1903, Marie and Pierre Curie were awarded half the Nobel Prize in Physics for their research on radioactivity discovered by Henri Becquerel (the other half went to Becquerel). Even after Pierre’s tragic death in 1906, Marie continued her research and, In 1911, was awarded the Nobel Prize in Chemistry for her discovery of and studies on the elements radium and polonium. She died on July 4, 1934 from a blood disease caused by the cumulative effects of radiation exposure. In 1935, her daughter Irene, along with her husband Frederic Joliot-Curie, won the Nobel Prize for Chemistry for their discovery of artificial radioactivity.